Dinner for one? 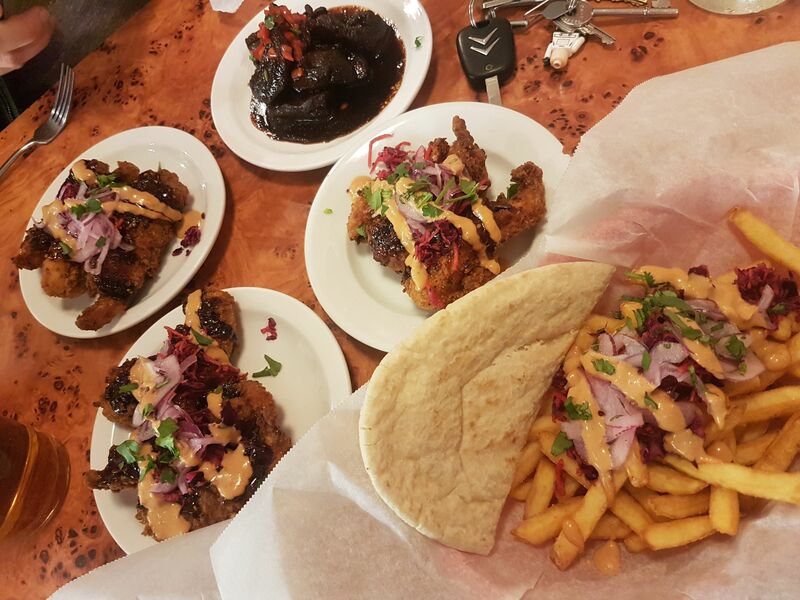 Cardiff restaurants for dining solo. If you often have to travel for work it’s not uncommon to find yourself asking for dinner for one. While I don’t often find myself in that situation in Cardiff (because I live there, obvs), I have when travelling to other cities and I know how hard it can be to find somewhere to eat alone without feeling like a complete billy no mates. So I’ve pulled together a list of my favourite places to dine in Cardiff when you’re on your tod. Don’t get me wrong, these places are great to eat with people too! Formerly known as Urban Taphouse, Tiny Rebel is an old man’s watering hole with a hipster vibe. Enjoy a huge selection of craft ales, many of them produced by Tiny Rebel Brewery, plus simple but tasty burgers and pizzas. You’ll feel equally at ease joining mates for some beers as you would if you sat in the corner with a quiet pint watching the world go by. Feel free to bring your dog if you’re lonely or jump on the Wi-Fi and see how many ales you can tick off on Untapped. BHNC is a relative Cardiff newcomer, I very much get the feeling you wouldn’t get funny looks if you walked in with your head turned backwards, much less if you asked for a table for one. And there’s more to this understated bar/cafe than meets the eye. 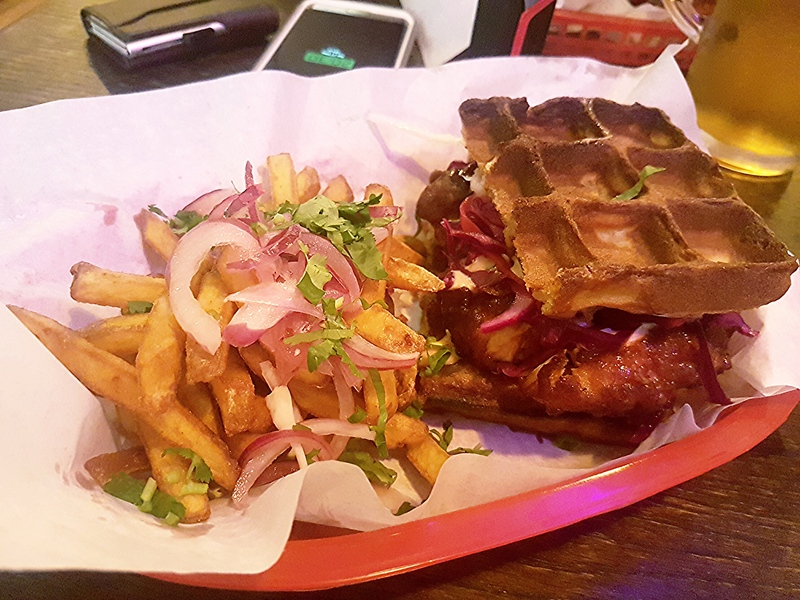 The menu is simple and stonking, just try the Korean Fried Chicken basket with waffles. By day it takes the form of Sully’s (a greasy spoon) which would be equally accommodating to lone diners. But if you don’t want to be dragged into a party I’d advise eating before 8pm. Otherwise stay for a party for one with cool DJs, bands and karaoke. Pie for one please. 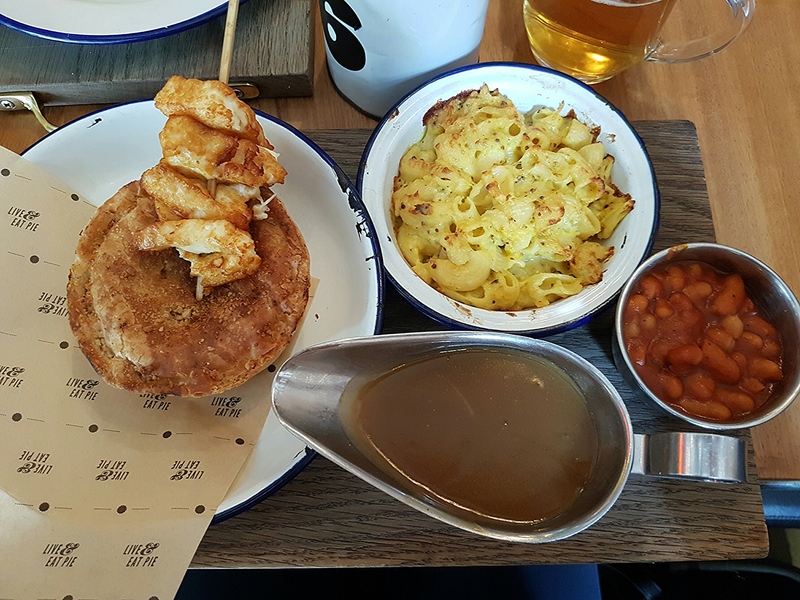 Pie Minister is a chain taking residence across most major UK cities, and although I can’t speak for its other locations, the Cardiff one is most definitely a welcome place for a lonely pie. 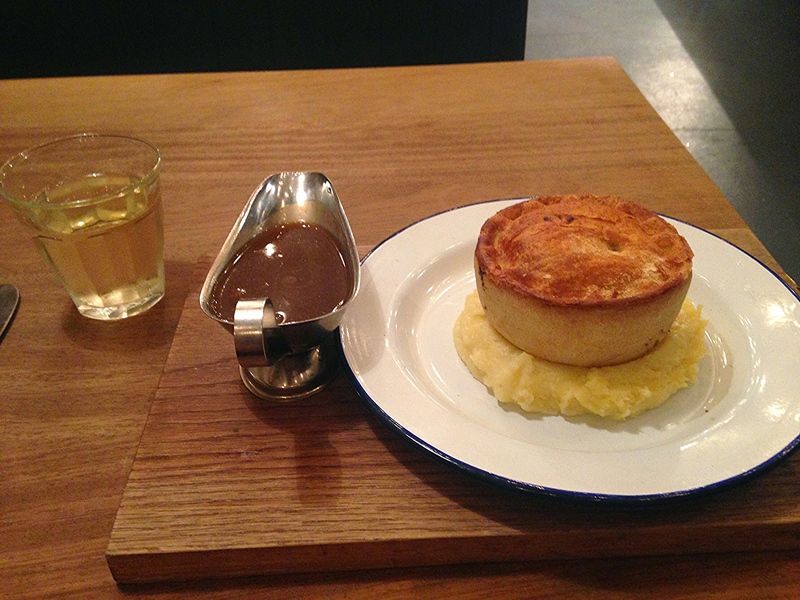 On many occasions I’ve sat in the window inhaling a pie when I’ve had an hour to kill after missing the train. Speedy service also makes it a good option when time is of the essence. Plus they have Pie-fi. Zero Degrees is the original micro-brewery having been in existence since the early 2000s and it’s the only place in Cardiff City Centre where they brew the beer on site. Back in the day it was trendy but it often gets overlooked for some of the more hipster craft ale pubs. They do serve really decent pizzas though and there are a few nooks and crannies for the lone diner, including an upstairs balcony overlooking the bar. This street food-style Indian is one of the few places in Cardiff where you can try half the menu in just one dish, so you don’t have to rely on sharing. Order a special Thali tray and taste a broad range of the menu in portions which are enough for one. Had a good experience of dining alone at any other restaurants in Cardiff? Let me know.